Elayna Fernández, known worldwide as The Positive MOM, is an award-winning storyteller, a master digital strategist, and an avid student of pain. Elayna helps moms transform their pain story into positive growth, step into balance, and create joy and success on their own terms – in all areas of life. Elayna travels the world as an International keynote speaker and panelist in the topics of motherhood, mindset, and mompreneurship. Her guidance encourages, empowers, and equips millions of moms in 134 countries to increase their impact, income, and influence, without guilt, shame, or regrets in motherhood. 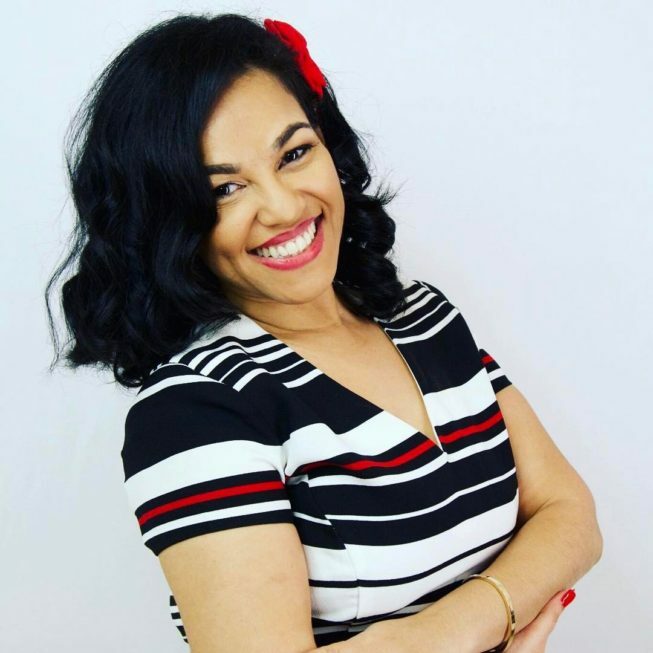 Elayna is Certified Guerrilla Marketing Master Trainer, Certified Passion Test Facilitator, Certified DreamBuilder Coach, Certified Success Principles Trainer, a graduate of the Steve Harvey School for Business Acceleration, and a web designer for over 20 years. She has been awarded as Best Marketer, Mom Entrepreneur of the Year, Best Latina Lifestyle Blogger of both 2015 and 2016, and the 2017 Best Family and Parenting Creator at the TECLA Awards, and she has been named one of the Top Latina Influencers in the USA two consecutive years. ThePositiveMOM.com, has been ranked one of 100 Top Moms Blogs Worldwide both in 2016 and 2017. Elayna is often featured in global media including ABC, NBC, FOX, Telemundo, Univision, Latina Magazine, CNN en Español, The Huffington Post, and is a contributing writer to Thrive Global! Elayna has spoken on stages such as S.H.E. Summit, Texas Conference for Women, eWomenNetwork, BlogHer, WordCamp, Latism, WeAllGrow Latina Summit, Blogalicious, Hispanicize, Mom 2.0 Summit, Network Niche, NACWE, Florida Family Child Care Home Association, Early Learning Council, Texas Social Media Conference, SeaWorld Adventurecon, Powerful You! Network, The Motivated Mom Tour, Dare 2 Aspire, Catapult You!, WINGS Dallas, NAFCC, Work Hacker, Rocks Digital, Bloggy Conference, Boy Scouts of America, Rotary International, and more! She's also been a member of both the BlogHer and Hispanicize advisory boards. The Positive MOM has partnered with brands like The Walt Disney Company (Disney Parks, Disney Channel, Disney Jr., Disney Animation, Disney Princesses, Walt Disney Studios, Walt Disney Pictures, Pixar, ABC, Marvel, Lucasfilm / StarWars, Disney XD, Disney Cruise Line, and Disney Kids), Prudential, Delta, Dove, Neutrogena, Motrin, Wells Fargo, Kohl's, Steve Harvey, Johnson's, NBC, Amazon, General Mills, NFL, Angel Soft, Walmart, Gerber, SeaWorld, Chevrolet, Minute Maid, Fox Home Entertainment, Vicks VapoRub, Cadillac, Clorox, Chase, Clean & Clear, Hasbro, Post Cereals, JC Penney, Cooper Tires, CDC, Sesame Street, Sony, Best Buy, Hyundai, Tylenol, Hallmark, Netflix, The Hispanic Scholarship Fund, Avocados From Mexico, Pinesol, Toyota, Chase, Chuck E Cheese's, World Vision, GoGo Squeez, Hanes, LEGO, Johnson's, QuickBooks, Kelley Blue Book, Cooper Tires, St. Jude, The College Board, NatureMade, Genius Plaza, Kroger, Tide, LifeLock, Albertsons Safeway, Listerine, Dreft, TripAdvisor, Scholastic, Baby Dove, and more! Born and raised in a slum in the Dominican Republic and a single mom for 8 years, Elayna now lives in Fort Worth, Texas, with her loving husband and 3 homeschooled daughters. Her philosophy is “BE Positive and You’ll BE Powerful!